Armed terrorists infiltrate into Israel from Gaza Strip, only to be captured by Israeli security forces. Arab terrorists operating out of the Hamas-ruled Gaza Strip infiltrated into Israel early Tuesday morning, apparently as part of a planned attack. The two terrorists were armed with a knife and grenade, Israeli security officials said, and were apprehended close to Israel’s security fence along the Gaza border shortly after they entered Israeli territory. The IDF transferred the terrorists for interrogation. 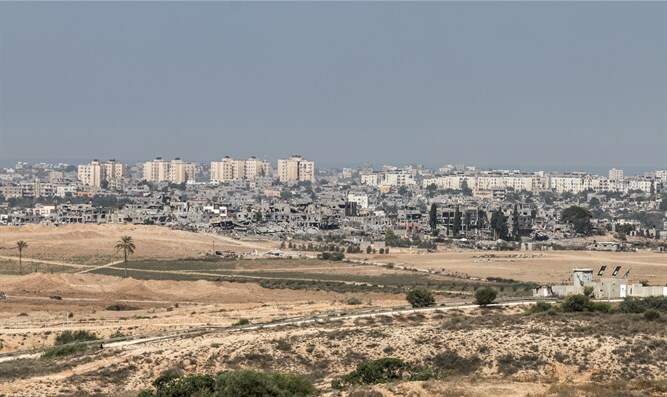 Tuesday’s infiltration is the latest attempt by terrorist elements in the Gaza Strip to escalate tensions with Israel. Since March 30th, tens of thousands of rioters have clashed with Israeli security forces along the Israel-Gaza frontier, hurling firebombs, flaming tires, and stones and Israeli soldiers, and even using kites to drop explosives to attack Israeli positions across the security fence. A number of attempted terror attacks on Israeli security forces were thwarted since the riots, dubbed the “March of Return” began. The riots are expected to last through May 15th, culminating in a mass demonstration marking “Nakba Day” (Catastrophe Day), coinciding with the day after Israeli Independence Day. Forty Gazans have been killed since the riots began, including more than a dozen individuals identified as Hamas terrorists.